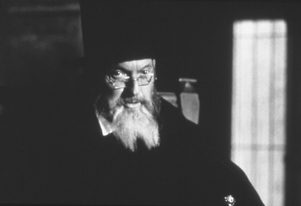 Orson Welles as Marcus in the test footage. The Dreamers is an unfinished film by director Orson Welles, known for famous movies such as 1941's Citizen Kane. The film was going to be adapted from two 1934 short stories called The Dreamers and Echoes which were written in the novel called Seven Gothic Tales by Isak Dinesen. Production began in 1980, but Orson Welles was unable to find financial backers to fund this film, and died in 1985 and was unable to complete The Dreamers. The story for The Dreamers was revised multiple times before Orson Welles died in 1985. The final version of the plot revolved around an opera singer named Pellegrina Leoni, who, after losing her voice in a fire, determines to abandon her life, wishing from then on to lead the lives of many. Her friend, the merchant Marcus Coccoza goes with her around the world. Production for The Dreamers began in 1978 when Welles's closest friend Oja Kodar began writing the screenplay. In 1980, using a 35mm 1:85 widescreen camera, Kodar and Welles shot twenty-five minutes of test footage in Welles's home. In this test footage filmed in black and white, Orson Welles and Oja Kodar are acting out two characters from The Dreamers. Orson Welles had a tendency to self-finance his own films before a major production company would pick up the project. The test footage was meant for potential investors, but after no one was willing to back The Dreamers, both Kodar and Welles rewrote the script in order to try to secure a potential investor. Work continued and due to Kodar and Welles acting out all of the parts, no actors or actresses were hired onto the project, though Welles did throw a few names around such as Timothy Doltan, Bud Cort, and Jeanne Moreau. Orson Welles also hinted at filming the movie in Europe and using English actors. People who were close to Orson Welles said that is was not uncommon for Welles to change his mind multiple times during production. 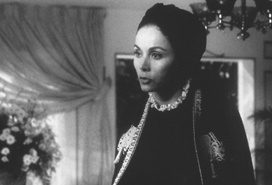 Oja Kodar as Pellegrina in the test footage. After two years of production, no actors had officially signed onto the project, no studio was picking up the script, and there were no investors to back the film. Therefore, production was officially halted in 1982. The twenty-five-minute test footage that was produced is currently archived in the Munich Filmmuseum in Germany. It has been shown at various film festivals, but no known recordings are known to exist. The last time the The Dreamers test footage was screened was at a Welles tribute festival at New York’s Film Forum in 2004. Part of this footage can be found in the documentary Orson Welles: The One-Man Band and as a special feature on the Criterion DVD release of Welles' film F for Fake. The entire script for the movie can also be viewed online. While there has been no official cast for The Dreamers, Orson Welles did have a few actors and actresses in mind for certain roles.